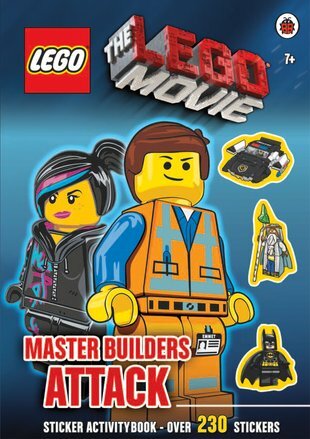 Everything is awesome in this cool book. Games, puzzles, fun and over 230 stickers. The LEGO® Movie™ takes awesome into a whole new dimension. Even better, it takes LEGO® blocks into places you never even dreamed they could go. Celebrate its greatest movie moments in this cool book of activities, puzzles, stickers and stunning movie art. There’s only one thing that’s not quite so awesome: the LEGO® world is under attack. Watch out for evil Batman!